Legendary 60s counter-culture icon John Sinclair managed the MC5 and brought together Free Jazz and radical Detroit rock & roll back in the late ’60s. This new collaboration with the influential British producer Youth tears down the barriers between past and present. If you have any love for the revolutionary sounds of Detroit/Ann Arbor in the late 60s and early 70s, then you’ll know who John Sinclair is. Sinclair was the rabble-rousing ‘Psychedelic Gangster’ who co-founded the White Panther Party in solidarity with the Black Panther Party, along with celebrated photographer Leni Sinclair and co-conspirator Pun Plamondon. The White Panthers were an explicitly anti-racist, revolutionary socialist party who spawned chapters in the UK as well as the US, drawing on the Black Panther Party’s legacy of community activism. Sinclair and his close friend Rob Tyner shared a love of blues, jazz and Detroit high-energy rock & roll, as pioneered by Mitch Ryder and the Detroit Wheels. Tyner’s incendiary rock group The MC5 became the vehicle for Tyner and Sinclair’s concept of a revolutionary new kind of music. Quickly becoming a thorn in the side of the authorities, Sinclair was jailed for ten years for supplying two marijuana joints to an undercover cop. A massive ‘Free John Sinclair’ rally and concert was organised, featuring John Lennon and Yoko Ono as headliners, with Lennon penning a protest song ‘John Sinclair’ to focus attention on Sinclair’ plight. Sinclair was eventually released in 1971 after serving two years, having missed the birth of his second child during his period of incarceration. A chance meeting with UK producer/bassist Youth led to the recording of ‘Beatnik Youth’ and its chilled-out twin ‘Beatnik Youth Ambient’. The latter is the first of the duo has now been released and it’s a powerful brew of beat poet recitations by Sinclair and mind-blowing free jazz-inspired experimentation. The album consists of four lengthy tracks, with the late Howard Marks contributing words to the third track, ‘War on Drugs’. The opening track ‘Do It’ combines ‘Screamadelica’-style blissed-out musical backing with a captivating recital from Sinclair discussing the necessity of creative action. Even better is ‘Brilliant Corners’, taking us deeper into Youth’s inner-space explorations, as Sinclair traces the connections between the Bebop jazz innovators the development of the Beat Poets’ revolutionary prose. The afore-mentioned ‘War On Drugs’ functions as an unintended tribute to the departed cult writer, whose engaging Welsh tones fit well as a contrast to Sinclair’s baritone drawl. Sinclair himself returns on the closing ‘Sitarrtha’, another mind-bending free-jazz trip with Sinclair waxing lyrical in celebration of John Coltrane. ‘Beatnik Youth Ambient’ is a powerful and intoxicating brew, and clear proof that Sinclair’s political and artistic vision is just as relevant in 2017 as it was in 1969, if not more so. The brutal contrast between The American Dream and the reality of The American Ruse is inescapable, but new generations can still draw inspiration from Sinclair’s incendiary words. Buy ‘Beatnik Youth Ambient’ here. Connect with John Sinclair on the web and on Facebook. Hear John on Radio Free Amsterdam. The John Sinclair Foundation can be found here. More writing by Gus Ironside can be found here. 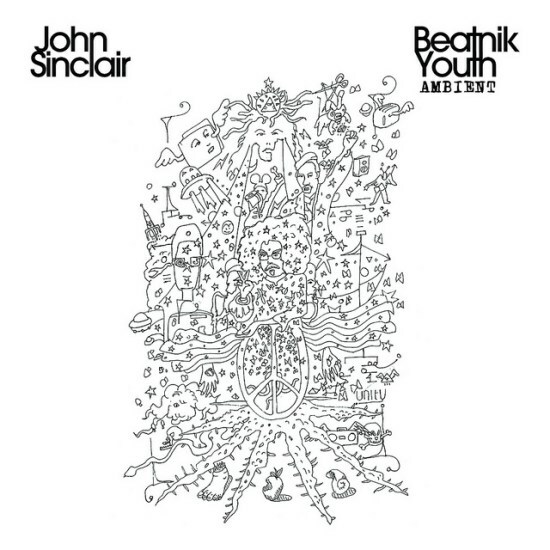 The post John Sinclair: Beatnik Youth Ambient – album review appeared first on Louder Than War.